Bill Burton's '49 Ford business coupe! 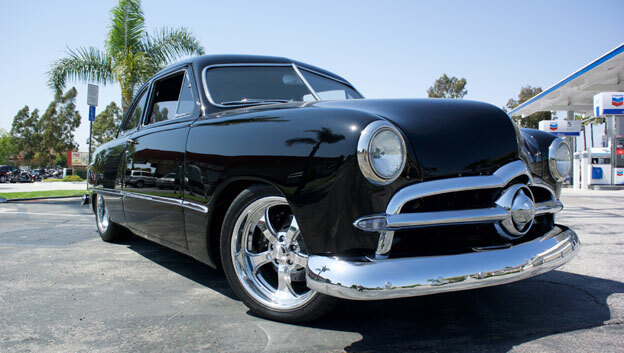 18x7 and 18x8 Americana EXL wheels were chosen for Burton's '49 Ford for a timeless hot rod look! 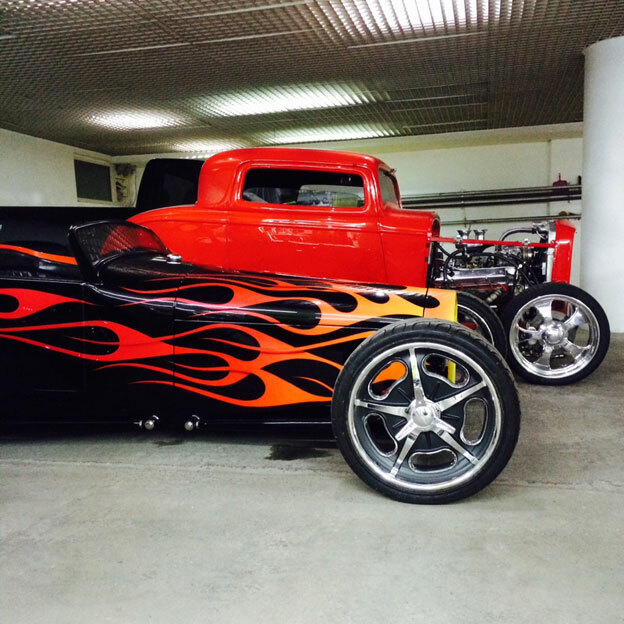 Hot Rods with Schott Wheels around the world! Mr. Alsabah's Hot Rod collection in Kuwait has grown... His '23T has new Accelerator wheels and his '32 with Americana's. 1950 Chevy sedan delivery beautifully done by Brian Cubbage! 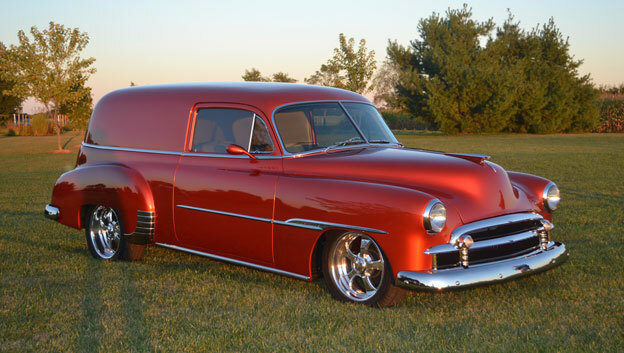 Brian Cubbage chose 17 & 18" Americana wheels to give his beautiful '50 Chevy delivery a finishing touch! 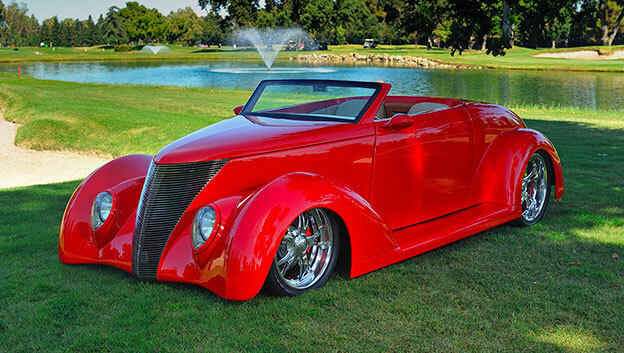 '32 Ford Highboy with Americana wheels! 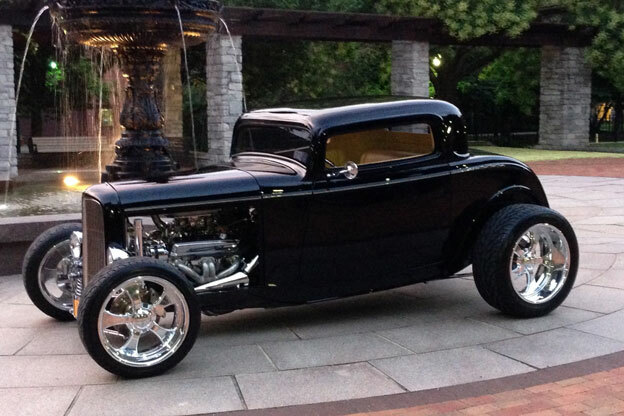 Rob May's '32 is classically done with exceptions like the larger Americana wheels, which just look right!